Could a Square Character Appear in Brawl? I was listening to IGN’s Wii-k In Review today, a podcast where the Wii editors talk about all things Nintendo. They were talking about Super Smash Bros. Brawl, and mentioned that they were waiting for “…the big Square character unveil…”. I never really thought about it, does this rumor have any truth? How awesome would it be if there was? The Awesome Radical scale might hit 11/10. 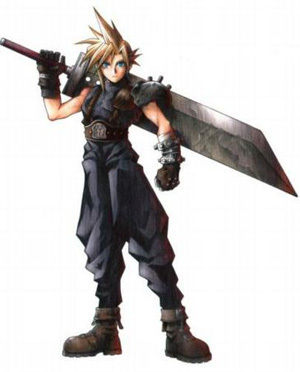 There are a million good characters from Square games, but I think the most obvious would be Cloud. Is that at all possible, though? Final Fantasy VII was on the PS One, does Sony on the rights? I think if that happened, Nintendo would get a TON more people to buy a Wii. It seems more likely that an older character would appear, something from the SNES, or maybe a black mage, but any Square character appearing in the game would be massive. Maybe we’ll even hear “I’M CAPTAIN BASCH FON RONSENBERG OF DALMASCA” on the Wii. I’d laugh. Cloud wasn’t on a Nintendo console. So no. Honestly Matt, being a little negative. Just be cool man, be cool. Good post, nice and clear, thanks. Are you going to do an update on this post? I will subscribe to this blog!